Special counsel Robert Mueller is expected to interview up to a dozen White House aides in the coming weeks as the Russia investigation intensifies, Politico reported. Former Chief of Staff Reince Priebus, Communications Director Hope Hicks, former Press Secretary Sean Spicer, and Chief Counsel Don McGahn will all likely face inquiries from Mueller and his team. Investigators are said to be interested in a session on Air Force One in which White House aides wrote a misleading statement about the meeting with a Russian lawyer who promised compromising information about Hillary Clinton. 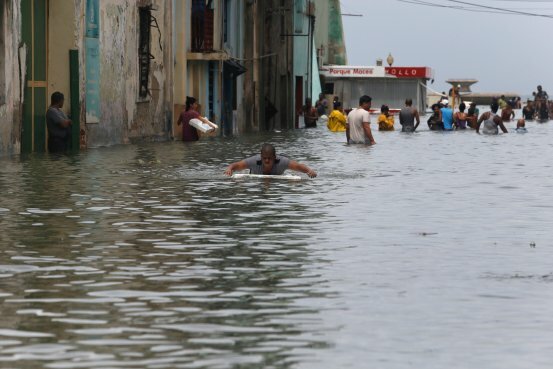 Hurricane Irma killed at least 10 people as it slammed into Cuba and scraped across its northern coast over the weekend, the communist islands official media reported Monday.